Computers in Plain English is my book. It is written such that if a person can recognize a computer when someone points one out, they can understand it. I start with simple explanations of computer terms and work through big numbers and what they mean. I give details of computer maintenance that anyone can and in fact should, do. There are some advanced pages of information, such as the ASCII table, but they are just for reference. 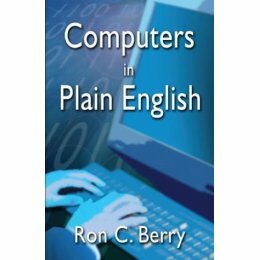 This book is fully indexed and a must for anyone who has or is considering getting, a computer.